The excavation and shoring activities have continued during May on site. 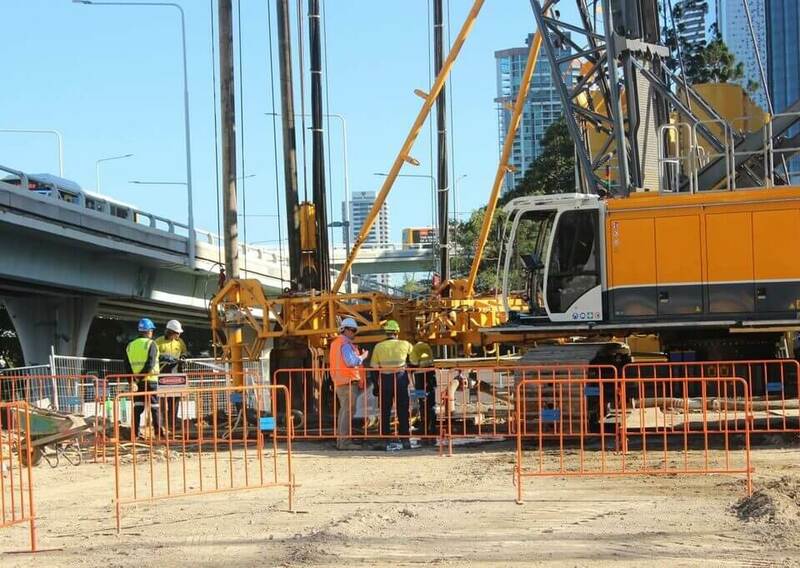 Following the successful completion of pile capping works on the perimeter of the Queen’s Wharf Brisbane site, the far left-lane of Margaret St between George and William Streets reopened on Saturday 19 May, ahead of the scheduled 21 May. All 177 piles for the integrated resort development core were completed during May. Now, the team is focused on construction of the diaphragm wall or D wall along the river facing side of the development. The diaphragm wall is a water tight retaining wall that will be the exterior underground wall of the core development basement. It’s an impressive engineering feat that requires the use of specialised rarely seen equipment in Brisbane. As the Probuild team makes more progress on excavation, heavy vehicle movements will increase. In an effort to increase productivity and decrease heavy vehicle movements during the day, Probuild will begin loading and hauling material from site of an evening. Their night haulage, between 6:30pm and 2am will commence 4 June and continue until late July when they will make a further application for continued night works. The current peak hour restrictions of no trucks exiting site between 6.30am and 9am and then again from 4pm to 6pm will continue. For any enquiries relating to excavation and shoring activities please contact Probuild on 1800 676 329 (toll free) or email queenswharf@probuild.com.au.